Raised rhinestone studded pyramids on gold animal print. 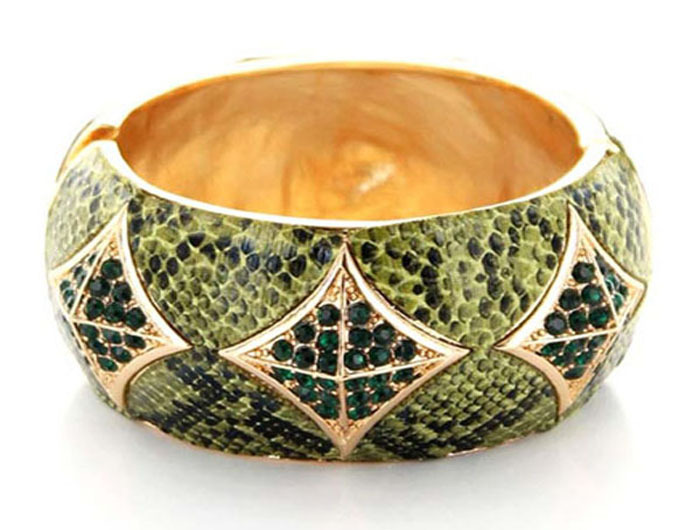 The Jasmine Bangle epitomises exotic elegance, dedicated to the girls with a wild side who stand out from the crowd. Oz Bling, one of Australia's favourite online jewellery stores brings you all the latest styles and colors of fashion accessories from around the world.